Hear Two New Childish Gambino Tracks For The Summer Writer, actor and musician Donald Glover just surprise-dropped two new tracks as Childish Gambino: "Summertime Magic" and "Feels Like Summer." 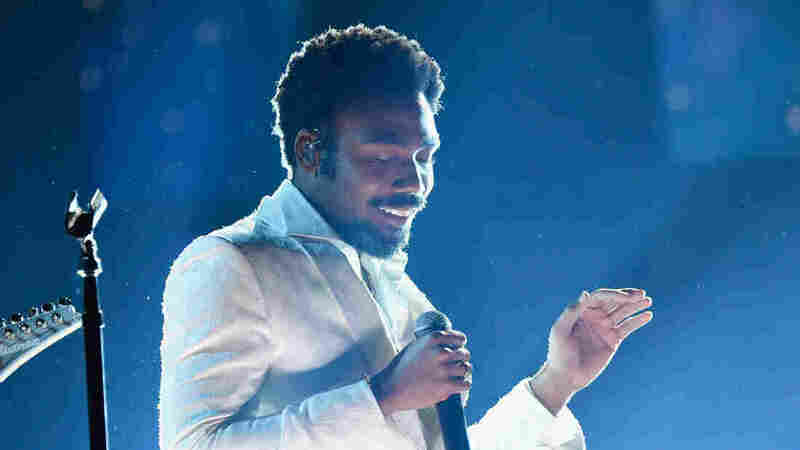 Somewhere at Donald Glover HQ, decked out in Gucci formals and the comfiest of loafers, I can imagine one of the busiest entertainers in America musing, "I got Atlanta. Lando Calrissian was the best thing about Solo (don't @ me). 'This Is America,' a noisy barrage of symbolism and chaos, is an unlikely (but truly bangin') contender for the song of the summer. What else can I give the people to make this summer just a little bit more 'Donald Glover'?" How about two new Childish Gambino songs? If you have any doubt of the vibe intended, it's literally in the titles: "Summertime Magic" and "Feels Like Summer." Co-written and co-produced by Childish Gambino and Ludwig Goransson, the same folks behind "This Is America," both tracks have that far-away, steamy gaze — soft bops that simmer in steel drums, synths pads and the most gentle of guitar strums. The bigger question now: Is this roséwave?